Welcome to Atlanta Curb Appeal, remodeling contractors. We offer professionally remodeled kitchens, basements, porches, decks, home remodeling, sunrooms, home additions, pergolas, entry ways, screened porches, exterior painting, interior painting and custom outdoor living. Additionally, we can do artistic landscape sculptures and stonework that are as individual as you are. 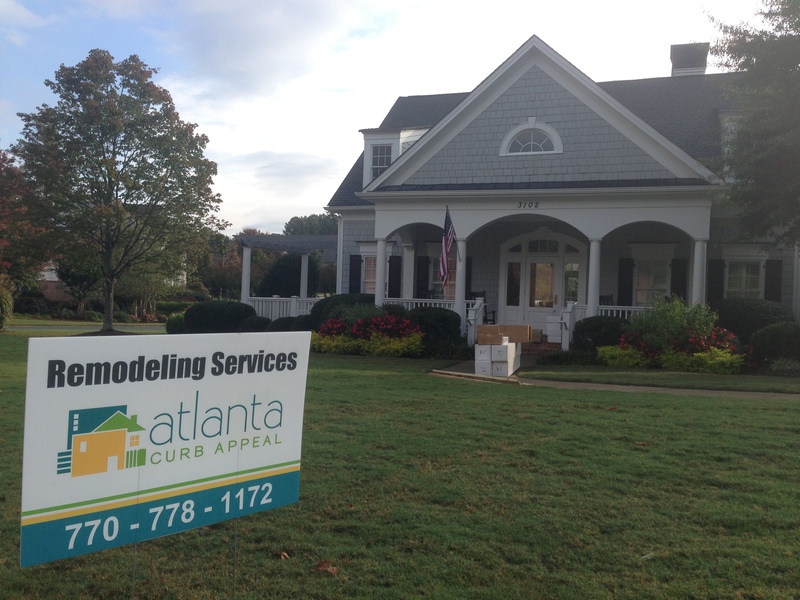 Atlanta Curb Appeal also handles kitchens and bathrooms remodels and installs. We offer to you, an efficient, enjoyable customer experience. Read some stories on our blog here to see what our clients say. From the beginning to the end of your service project you are communicated with the progress of your job. And you can count on Atlanta Curb Appeal to be done on time, which is comforting because we understand you have deadlines too. First, we discuss what your ultimate goal is; is it selling the house? Or making the home you have to one that you’ll love for years to come? From there we can decide what is the best way to complete the job and spend your budget wisely. If you are on the fence (and we do those too) on deciding whether to go for some changes to your home or exterior, keep in mind that many people have realized, after updating their home, that they wish that they would not have decided to sell their home after all! Enjoy the home you have now! It’s a win-win to have a home that you love.